It felt like it was just yesterday when we were counting down to the new year and raising glasses of champagne. Can you believe it’s spring already? Even though I can’t, I’m completely embracing it. I’m looking forward to constant sunshine and warm breezes but what I’m most excited for are the fruits of spring: berries... strawberries, blueberries, blackberries, and raspberries. To celebrate spring, I recently made a rendition of my classic red velvet cupcakes with fresh raspberries. These. Were. Amazing. I don’t know why I never thought of this sooner. 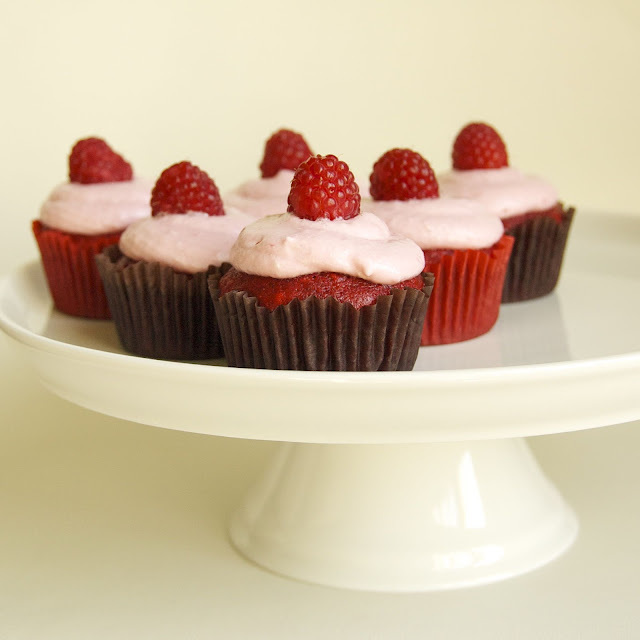 And I must admit, my red velvets will never be without fresh berries again (as long as I can get a hold of them). 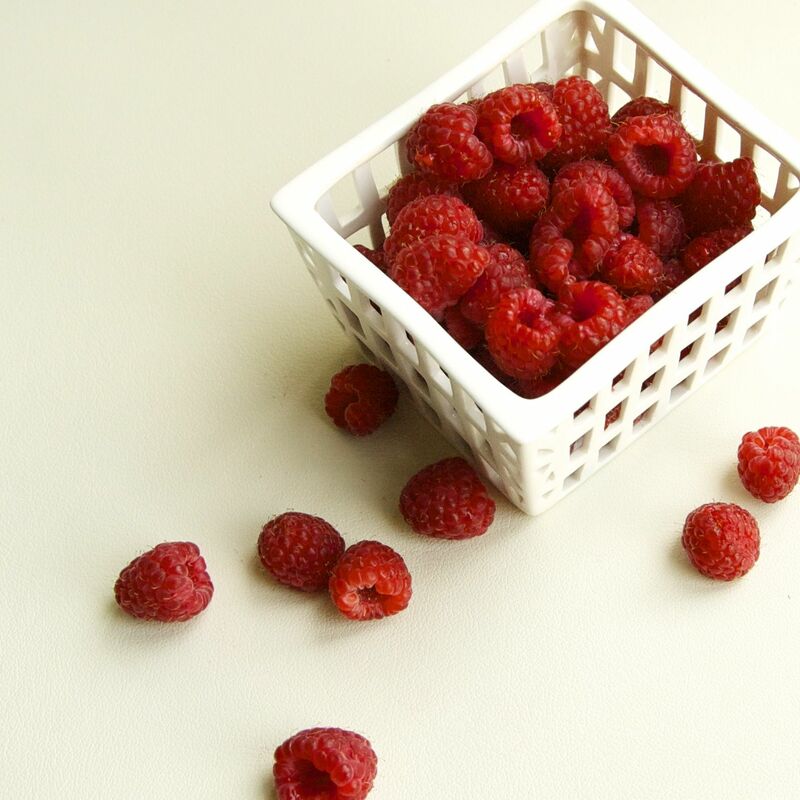 Puree the fresh raspberries in a food processor. For the cupcakes: In a large bowl, sift together the flour, sugar, baking soda, salt, and cocoa powder. In another large bowl, whisk together the oil, buttermilk, eggs, food coloring, vinegar, vanilla, and half of the raspberry puree (reserve the other half for the frosting). Mix together the dry ingredients into the wet ingredients until just combines and a smooth batter is formed. Divide the batter evenly among the cupcake liners. Bake until a toothpick inserted in the center comes out clean, about 17-20 minutes. Let cool completely. Makes about 30 cupcakes.